So what is the easiest business to start? It's sensible that the best business to start will have the least expensive setup expenses, they will have services and products that people want to buy and will have the biggest possible client base. Welcome to the world of online business! It's not a secret that a growing number of people are purchasing products and services online because of convenience, choice, cost and service. Starting up an online business and joining the thriving e-commerce world really is the easiest business to start. The beauty of starting an online business is that the startup costs are very low as compared to conventional bricks and mortar business. Starting conventional business requires substantial investments in human resources, inventory and financial capital. The industry is becoming more information-intensive and less labour and capital-intensive. This means that more and more traditional barriers to success in business are being removed. An online business is the easiest business to start because you don't even need to have your own products to sell. In fact, you don't have to stock any products, set up payment systems or worry about distribution or product fulfilment. This is possible with one of the most popular and best home business models called affiliate marketing. This is where you promote and sell other people's products. It's like being an online commission-paid salesperson. When you make a sale, you get paid a commission. The creator of the product is responsible for the whole development and fulfilment of the product. They will supply the marketing resources, manage the product delivery and follow up customer assistance. Your task is to find the customers and push them to the vendor's online sales pages. There is an almost unlimited amount of products, services and online business ideas that you can promote this way. You can become an affiliate for services and products available on websites such as Amazon, CJ Affiliate, ClickBank or JVZoo. You can sell any products you want and receive commissions on every sale. One of the best advantages of an online business is that you can work from anywhere you want so long as you have a computer and access to the internet. The internet makes it possible for you to have customers from all over the world meaning that your business can quickly grow. You are not restricted to finding customers who live near to you. When you have an online business, your business is open all day long, 7 days a week, 365 days a year. You can literally earn money while you're sleeping. One of the great reasons for starting an online business is that a lot of tasks can be automated. For example, it is important to introduce your business to prospective customers, maintain contact and build relationships with customers and send out special offers. 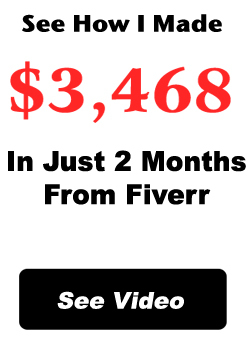 This can easily be done with email autoresponder marketing software that works on autopilot. An autoresponder works day and night for you, while you concentrate on other aspects of your business. Although an online business is the easiest business to start, it's possible that you will need guidance with certain areas at some time or another. To help you, I always give out training to my students to enable them to make more sales. Your journey to success will be quicker if you make an investment in your online business education. Remember that you can learn as you earn. Learning from a successful person who has gone before you can make a big difference to your business. They can precisely evaluate your efforts, help you make progress with your marketing and profits and explain the way around stumbling blocks. 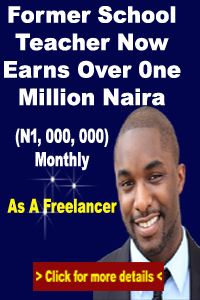 Setting up an online business is the best way to become rich in a country like Nigeria. The economy is failing, and online business people are hitting it big time. You can join the crew of online business people, or you sit and remain a spectator. I have a little gift for those who wish to get started.